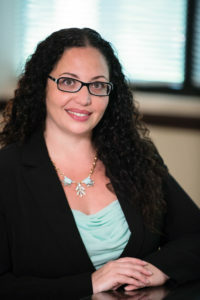 Bicycle Accidents – Diana I. Castrillon, P.A. When someone is involved in a bicycle accident, the injuries can be very severe. These bicyclists are not encased in 3,000 lb. steel cages with air bags and seat belts. Our clients are virtually unprotected while on their bicycles. We know that oftentimes the cyclist is like a ghost out on the street. Motorists are staring right through them. Diana Castrillon is an attorney who understands this and she is prepared to fight for cyclist victims. We know what to do to present a successful case for the cyclist victim who has been hit by a car or truck. Are you aware that it is common for bicyclists to get the short end of the stick from insurance companies? Recent studies show that settlements for injuries suffered in cars are up to 30% to 40% higher than for the same type of injuries suffered by cyclists. • An automobile driver is under the influence of drugs or alcohol. • While collisions with cars account for only 1/3rd of all bicycle accidents, they account for the majority of catastrophic injuries and deaths. Motor vehicle operators must be attentive to all bicycle riders. They must equate a bicycle with a motor vehicle and observe the same laws. We understand that your immediate goals after going through a bicycle accident, are to get your medical bills paid and covered and make sure you do not suffer financially through any lost wages. Our experienced legal team will discuss your situation and go over the options available to you, as well as work with insurance companies and other parties involved in your case to make sure all your needs are handled quickly and appropriately. If you or someone you know has been injured in a bicycle accident, let our Bicycle Accident Personal Injury Lawyers in Davie/Cooper City protect and defend your rights. Call us now for a free consultation. We are fully bilingual and will meet you at your home, hospital, or our office. We can even meet with you on weekends or evenings. At the Injury Law Clinic, P.A. we will fight diligently to protect your rights so that your only focus is on getting better. Call us today toll-free to 877-215-3LAW and find out more.